Adolf Konrad, packing list, December 16, 1963. Adolf Ferdinand Konrad papers, 1962–2002. 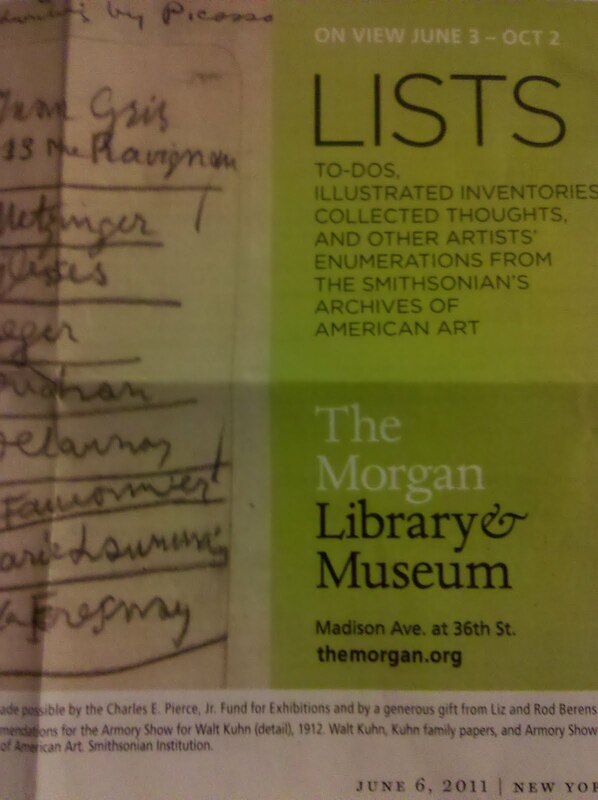 Archives of American Art. Smithsonian Institution. List making is a habit that I'm known for (someone special sent me the magazine clipping pictured above) and this blurb validated what I've thought for years: organizing one's thoughts on a matter is an art form. Now there's an exhibition that celebrates the art of the list with examples such as Picasso's picks for the great artists of his age. The Konrad sketch pictured above is frame-worthy. Can't you see it in a matted frame in a dressing room? Simple and useful, this colorful illustrated packing list becomes art. I love a list. It gives my day focus and my spirit a sense of progress. Are you a lover of lists? I love this! 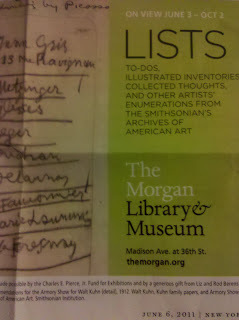 I am a HUGE list person, I have lists of my lists! They are definitely an art form!